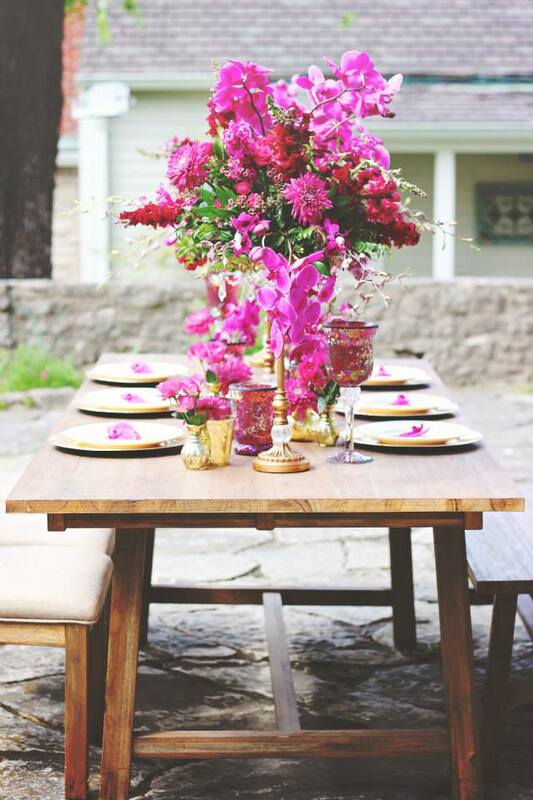 We love a bright pop of color! 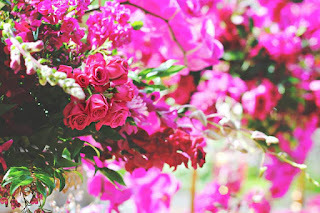 Here are some awesome shots by Storybook Photography of our designs that incorporated a splash of hot pink and berry using a mix of blooms including ORCHIDS!! 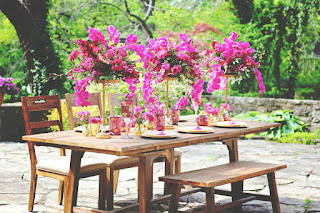 Tall pedestals and low metallic vases lined the long farm table. 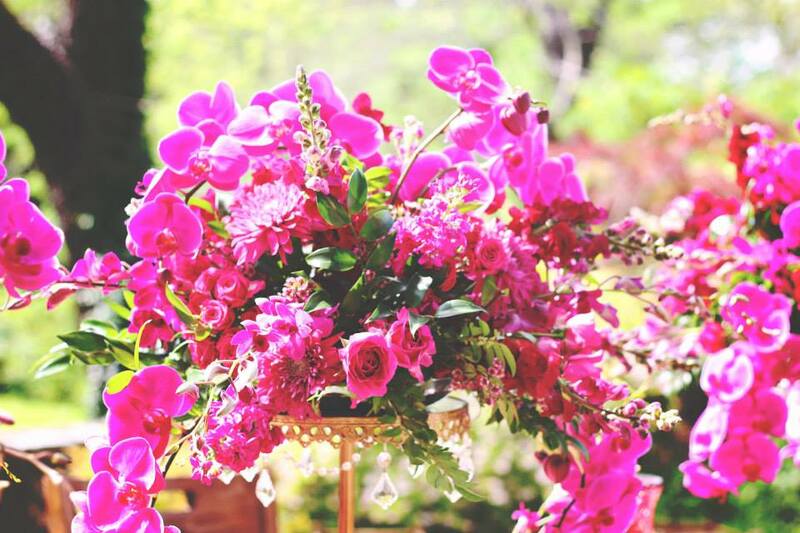 Berry and hot pink phalenopsis and dendrobium orchids were featured in all of the pieces. 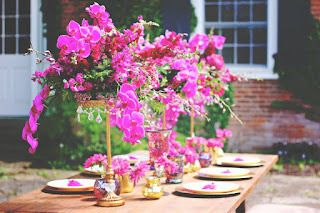 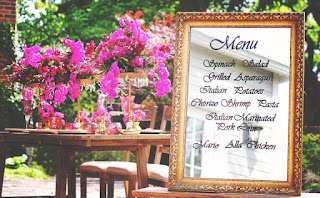 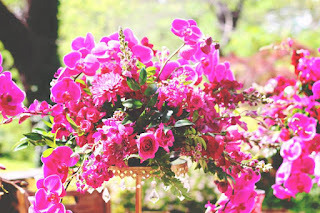 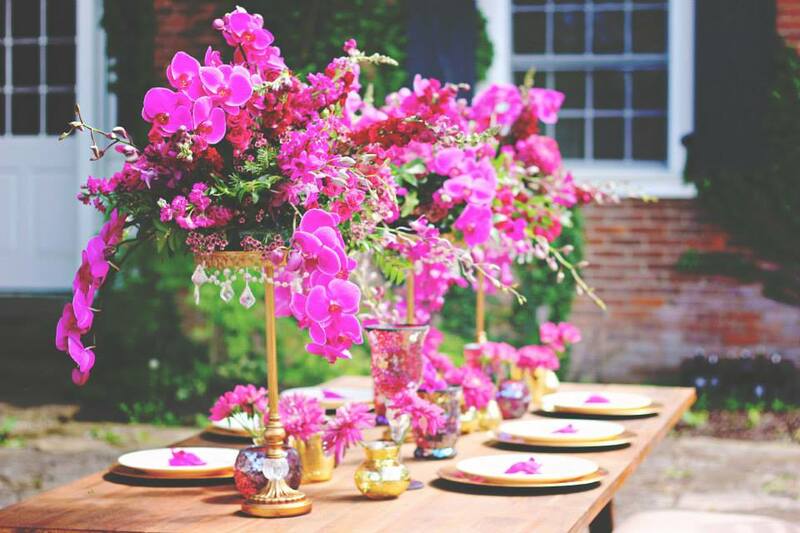 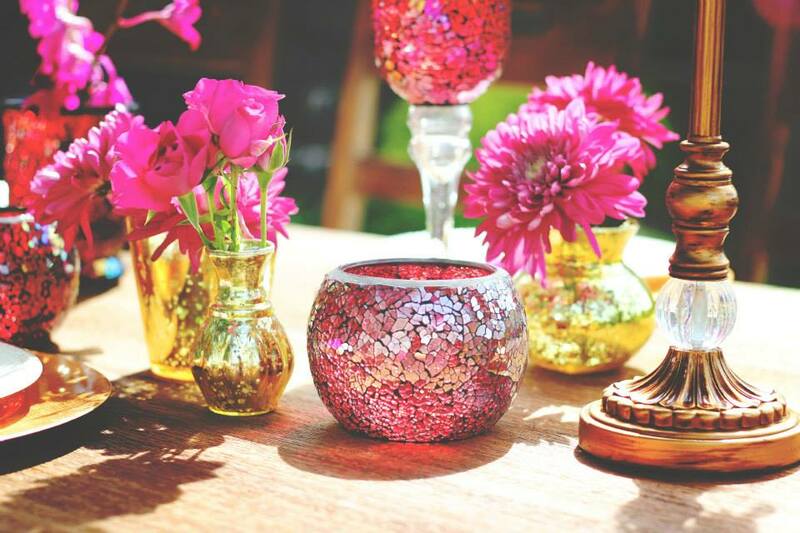 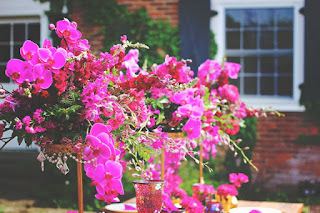 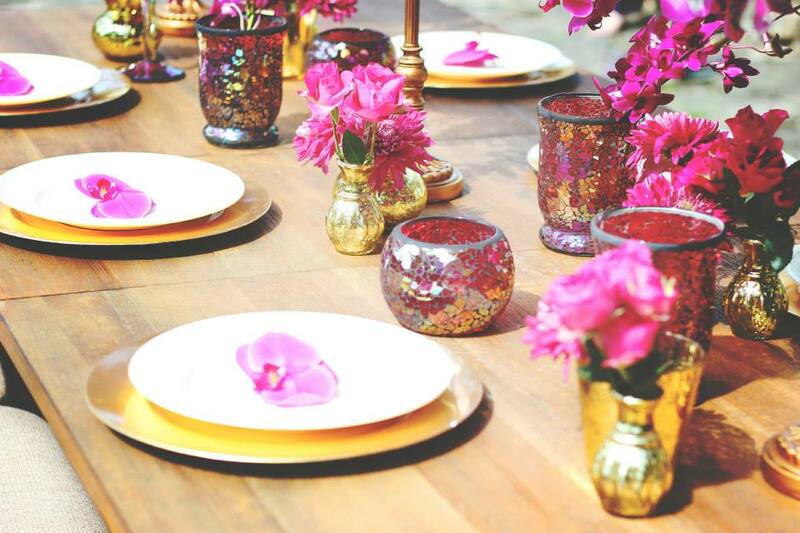 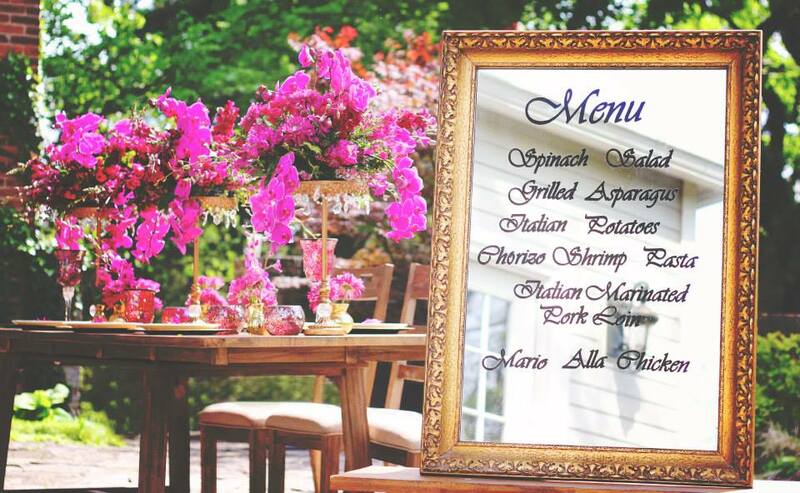 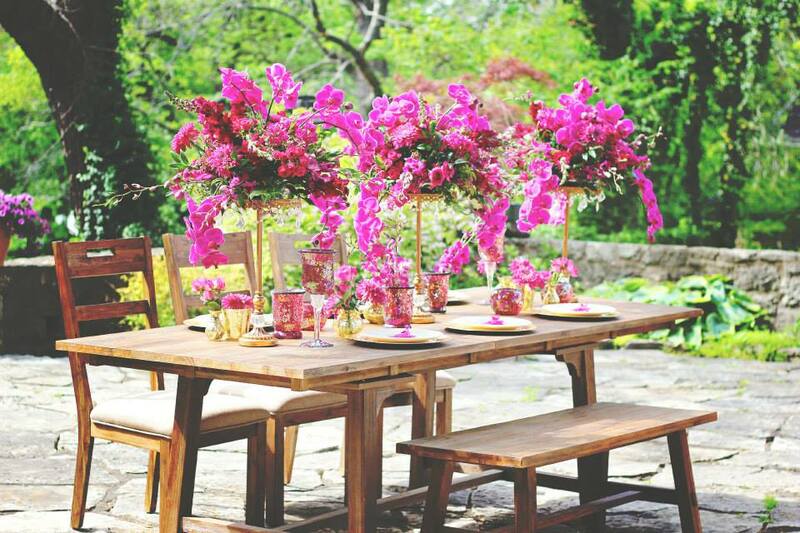 A bright orchid bloom at each place setting was a fun touch. We loved the gold and berry shades together on one table. A special thanks to Heartland Estate for letting us borrow their venue for this exciting photo shoot!